Simply Read Books, 9781927018330, 32pp. The wind is missing Little Bluebird has never flown without her friend the wind before and is afraid to try. So she sets off on an adventure to find it. Is it making wishes with the dandelions? Playing with the kites? Tickling the grass? Dancing with the balloons? She searches everywhere. In the end, she finds more than her favorite friend--she finds confidence too. Lindsey Yankey grew up in rural Kansas drawing and playing outside. She was studying illustration at the University of Kansas when a bird flew through her open bedroom window. The bird perched on the bookshelf, looked around the room for a bit, flew in a circle, and back out the open window. That was the beginning of "Bluebird." Lindsey is currently living in Lawrence, Kansas with her fiance, cat, and lemon tree. 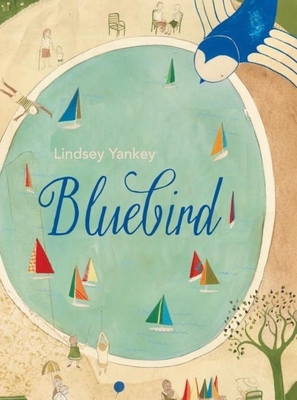 "Bluebird" is her first picture book.